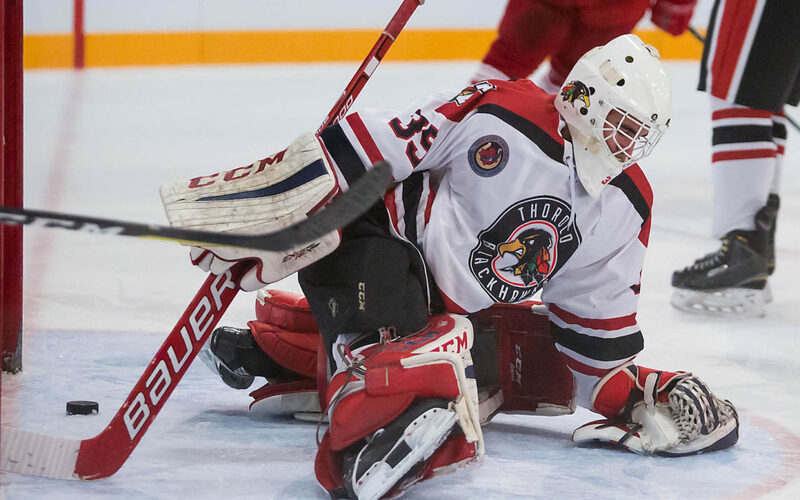 Goaltender Anthony Tremonte is one of a dozen returning players for the Thorold Blackhawks this season. BPSN file photo. Last year at this time, Scott Barnes was about to embark on his first season as owner/head coach of the Thorold Blackhawks of the Greater Ontario Junior Hockey League with only a few short weeks to get prepared. “It’s been night and day going into last season to where we are now going into this season,” Barnes said. “We’re feeling pretty good about ourselves. On the ice, Barnes remembers the Hawks also had their share of challenges. “Last year going into the Showcase Tournament, we only had four defencemen signed. We just couldn’t find anybody. Basically two guys came out and we signed them because we needed two more,” he recalled. “This year, we already had four returning so we were already ahead of the game. Barnes quickly learned there are only 24 hours in a day and only so much can be accomplished in that time. Barnes admits he has to walk a fine line between being an owner and a coach. “There is still a ton of work to do and my main focus is still the on ice product to make sure that is going well,” he said. “I had a five-year plan with the business off the ice making sure we try to put fans in the stands and getting a good business model and making it run. Barnes looks back on that first season and rightfully tips his cap to the organization’s volunteers, something the Blackhawks have always been known for. On the ice, the Hawks finished in fifth spot with a respectable 20-22-3-5 mark before being eliminated in the first round of the playoffs by the Niagara Falls Canucks. The Hawks are returning 12 players from last years team and have high hopes for a strong season. Back are goaltender Anthony Tremonte along with Nick Gidney, Devon Thibodeau, Brendan Charlton, Daniel Rocco, Trevor Neumann, Bailey Stumpo, Blair Jenkins, Camillo Rodrigue-Melo, Jacob Mastrangelo, Patrick McCluskey and Austin Jensen. The Blackhawks open the 2018/19 season Thursday, Sept. 13 versus the Lockport Regals. On the right side of our web site, you will notice a yellow SUPPORT US button. We are asking anyone who finds value in our work and is able to financially help us to click on the button and contribute whatever amount you feel is appropriate and can afford. There is no set amount. Any amount is appreciated. The funds collected will be used to enhance and offset the expenses of running the web site. 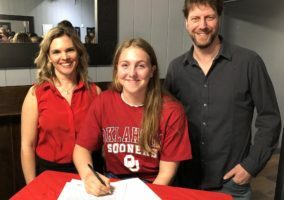 Bill Potrecz, a Welland Notre Dame and Niagara College graduate, spent 32 years as a sportswriter at The Standard covering almost every sport imaginable from high school, to junior hockey, to a World Series and Stanley Cup final. He took a voluntary buyout from the St. Catharines Standard in early 2017. By his estimation he has covered more than 1,500 junior hockey games. His passion is baseball but hockey is a close second. His guilty pleasure is professional wrestling, specifically the glory years of the National Wrestling Alliance.